EN: I love those days, when Jeremie and I text each other, just before finishing work, if we feel like sushi that night at our favourite japanese restaurant in the first arrondissement. The answer is always yes, and after a great meal we like to walk towards the Louvre, hand in hand heading to our small but cozy apartment. 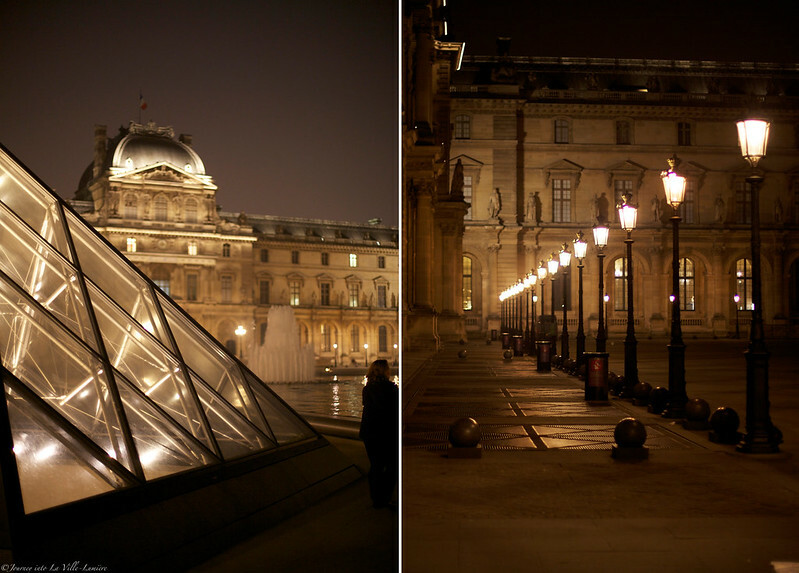 I don't know anything more magical and more romantic than a night walk in Paris and Louvre (especially at night) should definitely be on your list of places for your next visit to Paris. It's so worth it! SK: Milujem dni, ked si s Jeremim len tak textneme pred skoncenim prace s otazkou, ci si neskocime na sushi do nasej oblubenej restauracie v prvom obvode. Po skvelom jedle sa vzdy prejdeme popri Louvri, ruka v ruke smerujuc do nasho maleho ale utulneho bytiku. 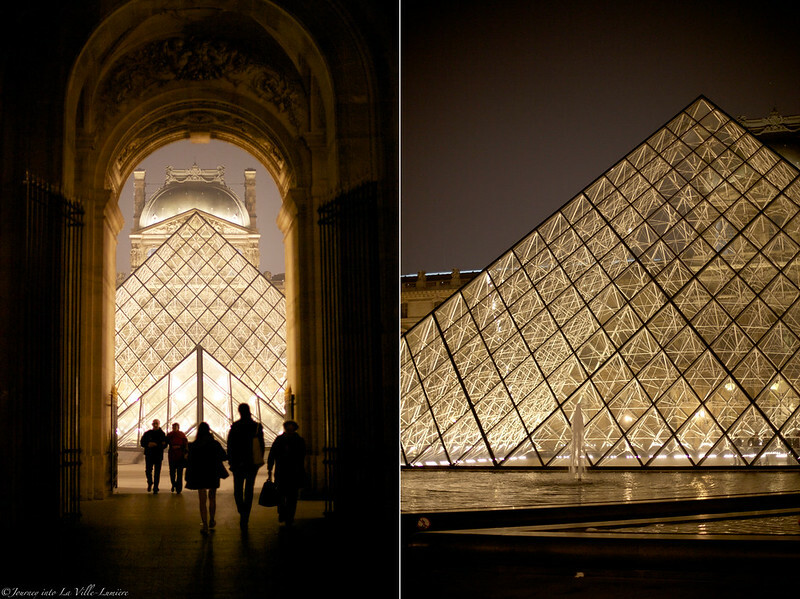 Nepoznam nic carovnejsie a romantickejsie ako nocna prechadzka Parizom a Louvre (hlavne ten nocny), by rozhodne mal byt na vasom zozname miest, ktore musite navstivit, ked budete najblizsie v Parizi. Stoji to zato! 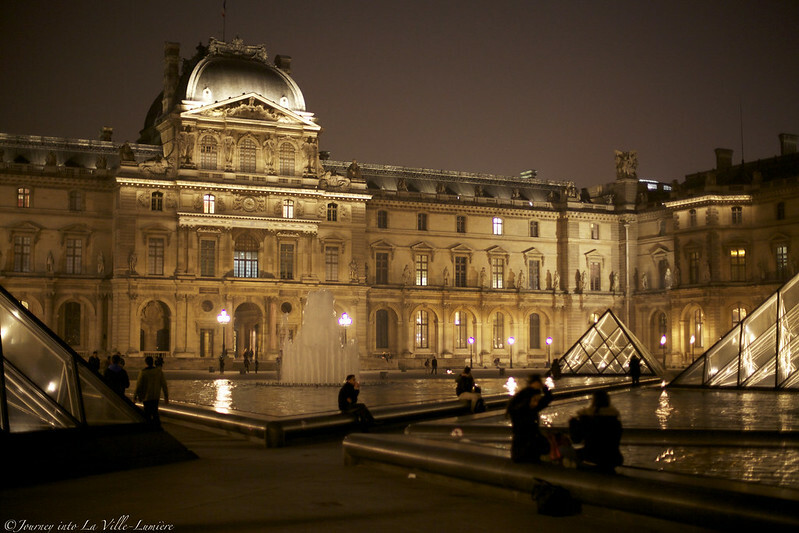 Truely mystic the setting of Louvre at night. 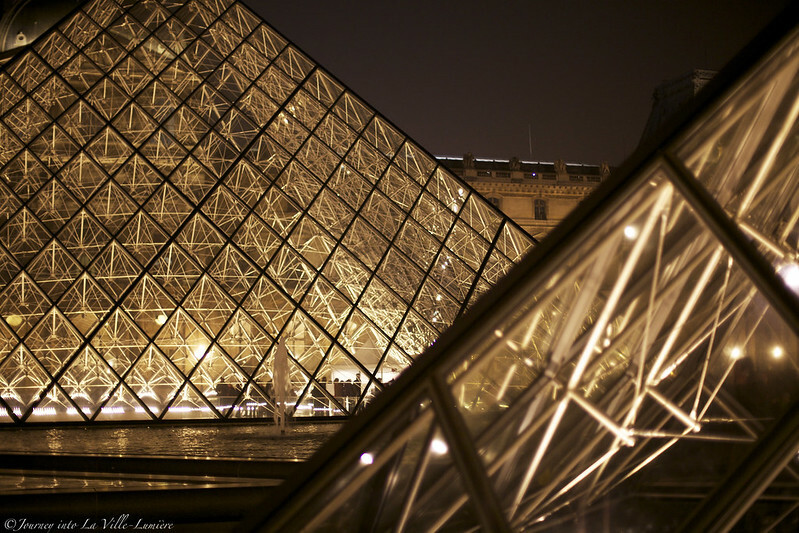 The glass pyramid and the last chapter of the Da Vinci Code ! Thanks for posting these pictures. Beautiful pictures! Me too I love walking at night with franklin in Paris... it's super romantic!